The results of the Nov. 6 midterm elections extend a level of political instability in the United States not seen since the post-Civil War era more than a century ago. Democrats won at least 34 seats to regain control of the House of Representatives by 228-199 over the Republicans, with winners not yet declared in seven additional races. However, Republicans increased their narrow Senate majority with a net gain of two seats, bringing their majority there to 52-47 over the Democrats. (Republicans will likely hold a 53rd seat when Mississippi concludes its runoff race on November 27.) This means that, when the 116th Congress is sworn in next January, a divided legislature will share control at the national level with a Republican president. As this table demonstrates, the power-sharing arrangement will be the seventh of the eight possible configurations of institutional control of the Presidency, House and Senate the U.S. has experienced since 2001. What explains this recurring pattern of instability? It is the culmination of a long-term process of partisan sorting and polarization, in which the two major political parties have shed their more ideologically moderate members. The result is a Congress composed of two internally homogeneous parties whose respective ideological centers of gravity are moving apart. In addition to being deeply polarized, the parties are electorally quite evenly matched. This means that when either controls the Senate or House, they see little reason to compromise, and instead seek to take advantage of their brief window as the majority to pass as much of their partisan legislative agenda as possible. Witness the Republican effort, with President Trump’s active support, to roll back Obamacare, including its politically popular coverage of pre-existing illnesses during Trump’s first two years as president. Such legislative overreach elicits the predictable response by the more moderate public: it votes the offending party out of majority control. And so the cycle perpetuates. In addition to continuing this pattern of instability, the recent midterms also perpetuated the midterm loss phenomenon. Since 1938, the president’s party has lost seats in every House midterm election save two: 1998, when Bill Clinton was fighting an unpopular impeachment effort by Republicans, and 2002, the first midterm after the 9-11 terrorist attack, in which Americans rallied to support the Republican administration. Including these exceptions, the average House loss for the president’s party across all midterms during this period is 29 seats. A similar pattern affects the Senate – on average since 1938, the President’s party has lost four seats during the midterm. What explains the midterm loss phenomenon? Political scientists have developed three related explanations. The first is the “surge and decline” theory, which posits that, compared to a presidential election year, the midterm turnout is smaller and less likely to contain the same proportion of voters who supported the President and his party two years earlier. A related explanation suggests that midterms often serve as a referendum on the president’s accomplishments to date. From this perspective, as the newly-elected president’s “honeymoon” with the voters inevitably erodes, his approval drops and midterm voters react by voting against his party. The third explanation is that the midterm provides Americans with an opportunity to “balance” control of the major governing institutions, by giving the non-presidential party greater representation in Congress. Of these explanations, the balancing hypothesis probably carries the most weight in an era of deeply-polarized and ideologically well-sorted parties, but there is evidence that all three factors were in play during the latest midterm. At an estimated 49% of eligible voters, turnout was the highest seen in a midterm in more than a century, and much of that was driven by increases in Democratic-leaning voters, including Latinos and younger voters. Trump’s approval rating, meanwhile, which is mired in the low 40’s, also likely contributed to Republicans’ seat loss. Moreover, it is likely that the largely moderate, centrist public sought to balance Republican extremism by handing control of the House over to Democrats. After the tempestuous 2016 election and first two years of the Trump presidency, with many pundits and even political scientists expressing alarm at Trump’s apparent willingness to break norms of presidential behavior, it is perhaps reassuring that, at least when it comes to the midterm, the conventional electoral dynamics seem still to govern outcomes. As with presidential elections, political scientists have developed forecast models that – although simple in construction – are effective at predicting aggregate House and Senate midterm seat changes. Typically, these models focus on “fundamentals” – how long the president’s party has held on to the White House, how many seats the president’s party has exposed, the president’s approval rating and some measure, such as the change in disposable income, of how voters are doing economically. Note that the most of these variables are in place long before the events that cable news pundits proclaim as “game changers”, such as the controversial nomination of Brett Kavanaugh to the Supreme Court, or the media focus on the “caravan” of immigrants heading toward the United States’ southern border. Despite slight differences in the variables utilized, all the political science models correctly predicted the Democrat House takeover, with the median forecast predicting a 30-seat gain, and the average of the forecasts at 36 seats. These were quite close to the mark. The same models forecast the Republicans making modest 1-2 seat gains in the Senate, however, primarily because of a historical quirk that found Democrats defending 26 Senate seats, including 10 that voted for Trump in 2016. This was the most Senate seats ever defended by the “out” party since direct popular election of the Senate began in 1914, and it was enough to offset the normal seat loss experienced by the president’s party. What will the next two years of divided government bring? Already many newly-elected Democrats, reacting to pressure from their more progressive base, are threatening to launch multiple investigations of the president and his administration. This is a potentially risky strategy. With some notable exceptions, progressive Democrats did not do well in the midterms, with most of the Democrats’ gains coming by electing relatively moderate candidates, and some Democrats believe the party would be better positioned to regain the presidency and Senate if it showed it could pass a more centrist legislative agenda, perhaps by working with Republicans in areas like immigration reform and reining in health care costs. Unfortunately, recent history suggests it is more likely that the next two years will bring more partisan bickering, legislative gridlock, and deep dissatisfaction among voters. And if Democrats win the presidency in 2020, while retaining control of the House, and Republicans hold on to the Senate, the country will have cycled through every possible permutation of government control in only two decades. Contrary to the constant claim that Americans are hopelessly divided, it seems instead that a significant number share a deep conviction that both major parties are out of step with the public’s more moderate ideological and policy preferences, and that these centrist voters trust neither party enough to let them govern for very long. This entry was posted in United States of America and tagged legislative election, USA on November 15, 2018 by Matt Dickinson. US – Trump and Republicans In An Era of Nationalized Elections: Hanging Together, or Hanging Separately? In the immediate aftermath journalists were quick to label Corker and Flake’s remarks a “watershed moment”, that signaled a Republican Party on the brink of “civil war”, and they speculated that the growing party fissure would jeopardize Trump’s legislative agenda. However, while Corker’s and Flake’s attacks on their own party’s president are perhaps unprecedented, and thus newsworthy, the bigger story is just how few of their fellow partisans in Congress have followed their lead. It is easy to understand their reluctance to do so. Although many in Congress likely share Flake and Corker’s outrage regarding Trump’s norm-breaking behavior, they also recognize that in an era of ideologically polarized congressional parties and nationalized elections, their political fates depend heavily on working with Trump to achieve legislative success. By nationalized, I mean that the electoral fortunes of Representatives and Senators are increasingly linked to constituents’ willingness to credit or blame the political parties as a whole for the state of the nation, rather than simply voting on the basis of their individual legislator’s record. Put another way, the legendary House Speaker Tip O’Neill’s famous aphorism that “all politics is local” no longer holds true, at least not when it comes winning a seat in Congress. In fact, most electoral politics is now “national”. Just how nationalized have congressional elections become? One way to estimate the relative influence of national versus local forces is to regress the outcome of the House vote in any given election on the previous House vote and on the most recent presidential vote in that House district, while controlling for incumbency and district partisanship. The coefficients on the House variable serve as a proxy for local influences, and the one on the presidential variable captures national tides. Drawing on data gathered by a number of my research assistants over the years, I have been documenting the relative growth in the nationalization of House election dating back to 1954. As the chart below indicates, elections have become increasingly nationalized since the mid-1980’s, and in 2016 the House experienced the most nationalized elections yet measured for a presidential election year. As the next chart shows, there is a similar trend in House midterm elections: an increase in nationalization dating back to the 1980’s, with 2014 showing the highest rate of nationalization to date. Although detecting similar trends in Senate races is more difficult because there are fewer of them and because Senate cohorts are elected at different intervals, there is some evidence, such as the decline in states that split their Senate contingent between two parties, to suggest that Senate elections have become more nationalized as well. Consistent with this claim, in 2016, for the first time since the Senate was elected through a popular vote, every state that elected a Republican candidate for Senate also voted for the Republican presidential candidate, and every state that elected a Democratic Senate candidate voted for the Democratic presidential standard bearer. In short, there is no reason to believe that Senate races are any less susceptible to the forces driving nationalization. What are those forces – why are U.S. elections increasingly nationalized? A full explanation requires a separate post, but there are likely a number of factors at play. To begin, changes in campaign finance regulations have accentuated the monetary influence of small donors who possess more ideologically-extreme views and, aided by the ease of contributing via the internet, they are increasingly willing to spend that money wherever it will have the greatest electoral impact. That often means challenging incumbents in primaries with more partisan candidates. It also appears that the marginal impact of casework and other constituency-related activities, which helped fuel the rise of the incumbency advantage during the 1960’s, may have diminished as it has become an expected part of congressional service. However, perhaps the most important factor has been party sorting, in which party labels have become a more reliable indicator of a person’s ideological views. Among other effects, party sorting has led to a decline in split-ticket voting in national elections from its high point in the 1970’s, as indicated in the following table. It is important to note that the decline in split-ticket voting is not proof that voters are increasingly polarized. Instead, as Morris Fiorina argues, these trends are more likely a function of the changing nature of the candidates and positions from which voters must choose. Candidates, and the issues they run on, may be better sorted ideologically by party label. If so, even if voters retain centrist views, they may increasingly sort themselves into a particular party and vote for a straight party ticket because of the more partisan-based choices in candidates and party platforms. As parties become better sorted ideologically, party labels become an increasingly useful cue for voters trying to decide how to vote in congressional elections, and members of Congress have a greater incentive to bolster their party brand. Whatever the explanation for the trend toward nationalized elections, I see no evidence it will significantly reverse itself in the 2018 midterms. Indeed, it is no coincidence that Corker and Flake appeared to both suddenly take a principled stand against their own president: neither is running for reelection in 2018. (Corker made his decision not seek another term public in September.) Flake, as Trump was only to happy to point out, faced declining approval ratings and a difficult reelection fight. Before breaking publicly with President and announcing he would not seek reelection, Corker had been one of the first establishment Republicans to back Trump’s presidential candidacy, and reportedly had considered serving as Trump’s running mate. Similar political calculations likely influenced those other congressional Republicans, such as John McCain during the debate over repeal of the Affordable Care Act (ACA, better known as Obamacare), who have recently broken publicly with Trump. McCain, of course, is suffering from brain cancer and is unlikely to seek reelection. Most Republicans in Congress, however, have little incentive to challenge the head of their own party, no matter how outrageous they may view his behavior. This is particularly the case for those running for reelection in 2018. Midterm elections are always politically precarious for members of the president’s party. Since 1934 the president’s party has lost, on average, 27 House and almost four Senate seats during these elections. If those averages hold in 2018, it will be enough to cost Republicans their majorities in both chambers of Congress. Crucially, in an era of nationalized elections and ideologically well-sorted parties in which party labels serve as an increasingly important voting cue, it is not clear that individual members of Congress can easily insulate themselves from these growing national political tides. Instead, Republicans’ best option looking ahead may be to stick together and boost their party’s reputation by achieving some legislative successes. So far they have come up woefully short by this yardstick, most notably in their failure to repeal ACA. Their best remaining legislative hope before hitting the campaign trail may be tax reform – a version of which has already passed the House. As Republicans learned with the unsuccessful health care repeal effort, however, maintaining party unity in the Senate, where they possess a narrow 52-48 margin, is a more difficult task. Nonetheless, in an era of nationalized congressional elections, they have a strong electoral incentive to hang together. The alternative, to paraphrase Ben Franklin, another legendary American politician, is to find themselves hanging separately during the upcoming midterm elections. This entry was posted in United States of America and tagged President Trump, USA on November 28, 2017 by Matt Dickinson. This is a guest post by Matthew Laing of Monash University and Brendan McCaffrie of the University of Canberra. It is based on their recent article in Presidential Studies Quarterly. American Presidents are often ranked and compared, with a handful of Presidents regularly judged as “great” (eg George Washington, Thomas Jefferson, Abraham Lincoln, Franklin D. Roosevelt, and sometimes Ronald Reagan). However, a wealth of political scholarship now acknowledges that different US Presidents are granted different circumstances that both demand different actions, and grant different opportunities. While these presidents’ greatness does result from their successful actions, it also reflects their circumstances. This blog post, and the article it is based on , argues that it is more useful to examine presidents who share a similar political and historical context, and to examine their success in a way that is sensitive to the opportunities and constraints of that context. Furthermore, this allows us to avoid encouraging presidents to follow the expansive styles of these “great” presidents in situations where such actions may be detrimental . This research uses the political time approach to the presidency, developed by Stephen Skowronek . The political time approach defines four types of president, based on their political and historical context. In this research, we examine what success is for Skowronek’s most constrained category of president: the president of disjunction, whose situation Skowronek described as “the impossible leadership situation”. These presidents (John Adams, John Quincy Adams, Franklin Pierce, James Buchanan, Herbert Hoover, and Jimmy Carter) are typically beset by national problems for which the orthodox political and policy thinking has no solutions. Our research argues that while some aspects of success are not available to these presidents, they can succeed by fulfilling a normative need to experiment and find new approaches to solve these problems. Skowronek describes four types of president, deﬁned by their distinct historical contexts and opportunities. Presidents of disjunction take office when the “regime” that has dominated American politics over previous decades is weak. The regime is composed of three main parts, (i) ideas that define political action over a number of decades, such as the ideas of Keynesian economics that defined post-New Deal America, (ii) a coalition of political and societal actors, particularly those in Congress, and interests that together represent a broad range of societal groups such as organised Labor, organisations, business groups, and other elements of civil society, and (iii) institutions of government that act to maintain the regime’s direction. For a president of disjunction, the regime’s weakness is evident in these three characteristics, but especially in the first two: the dominant ideas are failing to solve current problems, but they owe their election to the coalition of politicians and societal actors that have supported those ideas. That coalition is weakening and fracturing as new problems emerge that affect different elements of the coalition in different ways. These presidents have limited authority to act, as the failure of orthodox ideas divides their coalition of supporters. Disjunctive presidents’ best efforts to solve the nation’s problems often depart from orthodox ideas, upsetting coalition members who have maintained faith in those ideas. Alternatively, these presidents maintain orthodox ideas, upsetting those who no longer believe that orthodox ideas can work in the present circumstances. Presidents of disjunction usually are publicly perceived as failures, and are replaced by reconstructive presidents such as Franklin D. Roosevelt, who followed the disjunctive Hoover, and instituted the New Deal, and the Keynesian economics that dominated American politics for decades, and Reagan, who followed Jimmy Carter, and whose small government and pro-free market politics endured as Roosevelt’s politics had before. Despite perceptions of their failure, in many ways the presidents of disjunction play an important role within the course of political time, and if they play it effectively they can smooth the transition to the next regime. For presidents, success comes in three main forms – normative success, personal success, and partisan regime success. The contention that presidents of disjunction have an important role to play implies that there is a normative aspect to success for presidents, that is, there is a best role for them to play in order to advance the nation. We contend that the most important aspect of the normative role for presidents of disjunction is policy experimentation. When orthodox ideas and policies no longer work, as with the economic situation Hoover faced in the Great Depression, or the stagflation crisis Carter contended with, these presidents face great uncertainty, and need to work pragmatically to discover new policy avenues. Normative success also encompasses the need to maintain the constitution and uphold the ethical requirements of the office. To differing degrees, both Carter and Hoover experimented with new economic approaches designed to reverse the crises that they faced. Hoover’s creation of the Reconstruction Finance Corporation (RFC) in 1932 was a clear example of how experimentation during disjunction can help the subsequent reconstruction. The RFC made major loans to states, municipalities, and corporations and provided an injection of much needed funds to the failing economy. Hoover attempted a middle-of-the-road approach between orthodoxy and innovation of the type Roosevelt would later pursue. He limited the RFC’s operations, for example, insisting that its funds be for self-liquidating projects. As a result, in 1932 the RFC was not as effective as it might have been as an institution for stimulating the economy. But, Hoover expanded its authority in his last days in ofﬁce in January 1933 and in its early years it provided much-needed capital to troubled economic sectors. Roosevelt further expanded the RFC, giving it greater funding and a wider scope to issue loans, and it became a key institution of the New Deal. Similar patterns could be observed in Hoover’s creation of, and Roosevelt’s extension of, a range of other measures aimed at defeating the Great Depression. For example, the Relief and Construction Act, Federal Farm Board, and Agricultural Marketing Act all became pillars of the New Deal’s approach to agriculture. Similarly, Carter displayed greater awareness of the danger of inﬂation than most Democrats in Congress. In his last two years, he clearly prioritized inﬂation over unemployment. He felt he was acting pragmatically, and publicly admitted that his administration was trying several anti-inﬂation measures with no certainty that any would work. Carter’s anti-inﬂation program emphasized wage restraint to aggressively tackle inﬂationary pressures, but was hindered by a lack of support from organized labor. Unable to authoritatively suppress wage inﬂation without further fracturing its coalition, the Carter administration pursued an accord with unions over wages. Although novel, its measures were regularly subverted or ineffective. This situation underscores the conﬂict between the normative requirement to experiment and its tendency to hasten the demise of the coalition. Perhaps Carter’s boldest experiment was the appointment of Paul Volcker as chair of the Federal Reserve in 1979. Carter pursued the appointment despite counsel from close advisors that Volcker’s doctrinaire anti-inﬂation plan would undoubtedly cause a rise in unemployment and seriously jeopardize Carter’s chances of re-election. Volcker’s actions began to ease the stagﬂation crisis and began the reform and strengthening of the Federal Reserve’s role in the U.S. economy, advancing the monetarist policy agenda without requiring legislative backing. However, this anti-inﬂationary shift did accelerate Carter’s political demise. Conversely, presidents of disjunction will likely not receive credit for their successes during their terms. With a divided coalition and an increasingly emboldened opposition, they face a major contest to have each of their actions judged as personally successful by media and the public. Presidents of disjunction are also presented with a trade-off. Actions that fulfil the normative requirement that they experiment with new policy directions are also likely to exacerbate the divisions within the coalition, and end the dominance of the ideas that the coalition has supported. Furthermore, given the uncertainty of the outcomes of experimental policies, these may fail. Those that do succeed are often seized upon and expanded by a reconstructive successor, who typically receives the popular credit for the new approach. As such disjunctive presidents are rarely credited with great personal success, even though they may have extensive legislative achievements. In fact, both Hoover and Carter compiled impressive lists of legislative achievements, far out-stripping perceptions of their effectiveness. Hoover especially found himself unfairly criticised for adhering to laissez-faire economic practices in the face of the Great Depression, despite many major departures from orthodox economic policy. Partisan regime success refers to how presidents interact with the regime, either strengthening or weakening it to situate their parties and ideological coalitions for future achievement. Such success is harder to observe than personal success, but can be more enduring. It usually leads to future success for the president’s party, but as presidents’ actions inﬂuence the strength and longevity of the regime, it also has a considerable effect beyond the party and on the nation’s future. Depending on their agreement with, or opposition to, the regime, presidents must advance and update, or attack and discredit regime ideas and institutions, as well as strengthening or weakening the coalition that supports them. This form of success is very limited for presidents of disjunction. The regime is collapsing during their tenure and this creates societal disruption. As leaders afﬁliated with the regime, they often have an ideological preference to see it endure, but cannot ensure its survival. 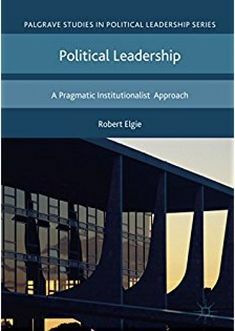 However, presidential action is not meaningless within this arena, and the way presidents respond to the crisis of their partisan regime can affect the timeline of the afﬁliated party’s decline and recovery. Partisan regime success offers an internal contradiction for presidents of disjunction. By defending the regime, and retaining orthodox approaches to national problems, disjunctive presidents may maintain party authority in the short term. However, they risk marginalizing their party even further as regime ideas are sidelined, exacerbating the severity of electoral defeat and the length of recovery. More experimental presidents are better placed to prepare their partisan coalition for change and prepare the nation for the process of reconstruction, but risk their own authority in the process as regime adherents revolt. The better strategy may in part be dictated by the strength of competing factions and groupings within the coalition. However, there is also an opportunity for presidents to persuade their coalitions of different approaches, acclimatize their coalitions to new ideas, and better position them to adopt a role within the future regime, rather than leaving them entirely outside that regime. These three forms are interrelated, but the way they interact varies for the different types of president. For a reconstructive president, each can be mutually reinforcing. These presidents take power at a time when there is general consensus that major change is required, as a result, reconstructive presidents can press for sweeping reforms that act to bolster perceptions of their personal success, while satisfying their newly formed coalitions, and fulfilling a normative need for action. For presidents of disjunction, choosing to pursue either personal or partisan regime success may lead to normative failure; but normative success can also hasten the demise of the regime, and diminish presidents’ personal authority, making personal success less available. We argue that the normative need to experiment offers the opportunity for most success, but that the chances of a disjunctive president receiving personal credit for their achievements are small. Understanding presidential success differently in different contexts is important not only for analytical purposes. All presidents wish to be considered successful, so public expectations can inﬂuence presidential actions. If we judge all presidents by standards appropriate to reconstructive presidents, we encourage them to act in a way that will frequently contribute to their failure and, in doing so, contribute to the popular conception of a heroic presidency, which is near impossible for most presidents to meet. Presidents of disjunction are part of the essential fabric of political time, and in better understanding the ways in which they can succeed, we are engaging in a project that is essential to our understanding of presidents’ capacity to further the public good. Among the greatest challenges this understanding of the presidency presents is the need for presidents to discern their place in political time, and accept that in certain situations they must follow a more constrained path, and limit the scope of their ambitions. Matthew Laing and Brendan McCaffrie (2017) ‘The Impossible Leadership Situation? Analyzing Success for Disjunctive Presidents’, Presidential Studies Quarterly, 47 (2): 255-276. David A. Crockett (2002) The Opposition Presidency, College Station: Texas A&M University Press. Stephen Skowronek (1997) The Politics Presidents Make, Cambridge Mass: The Belknap Press of Harvard University Press. This entry was posted in United States of America and tagged president, USA on September 14, 2017 by Robert Elgie. This is a guest post Jon Johansson, Senior Lecturer in Comparative Politics at the Victorial University of Wellington, New Zealand. In this blog post, he summarises his chapter ‘From Triumph to Tragedy: The Leadership Paradox of Lyndon Baines Johnson’ in the new volume ‘The Leadership Capital Index: A New Perspective on Political Leadership‘ (edited by Mark Bennister, Ben Worthy, and Paul ‘t Hart, Oxford University Press 2017). When asked to contribute a chapter in The Leadership Capital Index: A New Perspective, I leapt at the opportunity. Woodrow Wilson’s challenge to presidents, issued in his 1908 treatise on American Government, to be as big a man as they can be, made Lyndon Johnson’s presidency a natural choice to apply the Leadership Capital Index (LCI). The giant from the Texas Hill Country rose to stunning heights after assuming the presidency in the worst possible circumstances: the violent murder of President John F. Kennedy. As well as leading a masterful transition, Johnson exploited the tragedy to mastermind the passage of the Civil Rights Act of 1964, the single most important piece of legislation passed since reconstruction. This act also reflected LBJ’s initial pledge to ‘continue’ the work begun by Kennedy. The following year Johnson once again used the bully pulpit of the presidency to transform scenes of racial violence in Selma, Alabama into the Voting Rights Act 1965. Alongside his ‘Great Society’ programs, twin civil rights triumphs saw Johnson reaching his own personal mountaintop. Just over three years later, however, after Robert Kennedy announced his intention to run for president against him, Johnson chose to not seek re-election. He told his biographer Doris Kearns he felt ‘left alone in the middle of the plain, chased by stampedes on every side’. Johnson was so consumed by the quagmire in Vietnam, unavoidable after the Tet Offensive in late January 1968 had laid bare his previously optimistic reports to Americans on the war’s progress. Amid increasingly violent protest at home he withdrew from the electoral arena to restore his self-image as a consensus seeking leader trying to end the war in Vietnam. What was also stunning about Johnson’s ‘Americanization’ of the Vietnam War was just how bad his judgments were, especially as they were made against his own previously sound instincts (and advice to JFK) to ‘keep American boys’ out of South-East Asia. It was this basic duality that made Johnson such a fascinating subject and his paradoxical leadership begged the following question: how could a president with unique leadership capital, accompanied by the motivation and skills to exploit it, see his political resources collapse so quickly and with such intensity? I found the ‘Leadership Capital Index’ (LCI) a rich prism from which to analyse this question, although it did require some minor adaptation to accommodate the idiosyncratic particulars of the American political system. For instance, three of the LCI’s core constructs – a president’s longevity (diminishing vs. increasing capital); the likelihood of their facing a credible challenger (constitutionally mandated intervals vs. more frequent opportunity in Westminster systems), and parliamentary effectiveness (versus legislative effectiveness in the U.S. system of separated branches sharing power) – required clarification to acknowledge institutional differences between presidential and Westminster systems. The richness of my study came from the LCI results (scored out of 50, with the higher the score meaning the greater the level of leadership capital). They confirmed the unique qualities behind Johnson’s stratospheric leadership capital scores during the early phase of his presidency, followed by the collapse of both his relational and reputational capital during his final phase as president. Four time intervals were selected to measure the direction of Johnson’s leadership capital. The first date selected was January 8, 1964, when Johnson declared a ‘War on Poverty’ in his State of the Union Address, only 47 days after Kennedy’s assassination. He also asked Congress to pass Kennedy’s tax bill as well the civil rights bill. Johnson’s approval rating sat at 77 percent, which revealed that Americans perceived him as having risen to his post-assassination challenge. His LCI score of 41 reflected his frenetic activity to both achieve a legacy for his predecessor, one which he hoped would forever link him with the dead Kennedy. The second date selected to measure LBJ’s LCI coincided with his Inaugural Address in January 1965, when he’d reached his apex, with his LCI score a stratospheric 46. The ‘King of the Hill’ led the passage of Kennedy’s civil rights bill into law, finally ending segregation. He’d out-maneuvered the Republican presidential candidate, Arizona Senator Barry Goldwater, over Vietnam after Congress emphatically passed the Gulf of Tonkin Resolution, going on to win the November election with a record 61.05 percent of the popular vote. The Democrats rode LBJ’s coattails to pad their already strong Senate and House majorities. The third time interval charts Johnson’s sharp reversal to now exhibit sharply declining leadership capital (LCI = 31). It had all turned sour over Vietnam and economic insecurity. Delivering his State of the Union speech in January 1967 he asked Congress for a tax hike to pay for the war on poverty at home and the one against the Communists abroad. His promise to keep American boys out of Vietnam had given way to 500,000 combat troops on the ground. His ‘Great Society’ programs suffered myriad implementation problems. Even the historic passage of the Voting Rights Act 1965 did not prevent a summer of rioting across American cities, exhausting support for civil rights. A credibility gap emerged between Johnson’s optimistic portrayal of progress in Vietnam and the reality of ever-increasing body counts and the economic costs of the military stalemate. The final time interval is at the end of March 1968, when Johnson surprised his television audience by ending a lengthy speech tracing American involvement in Vietnam with the bombshell news that he was withdrawing from the presidential race to focus solely on ending the war. His presidency had fatally collapsed over Vietnam (his final LCI score plummeted to 19). Americans no longer believed their president and so they rejected him outright. Johnson’s final capitulation was an acknowledgement that the office had defeated him. He was alone, isolated. All in all, the LCI was an excellent instrument for revealing the exceptional leadership capital Johnson created through a superior diagnosis of his initial context, and then by perfectly matching means to ends to incrementally expand the welfare state, be seen to contain communism, while managing America’s economic growth. It reflected equally well the disjunctive phase of his presidency when that basic consensus collapsed. Johnson’s character limitations continue to provide the best explanation for both his legislative and political triumphs as well as the ultimate tragedy his presidency proved. Based on President Lyndon Johnson’s leadership capital, his ability to exploit his political resources for all they were worth, to turn Kennedy’s legacy into something meaningful, was more than good enough for an individual as flawed as Johnson proved to be. His tragic legacy, which became his country’s, was the fatal shattering of trust by Americans in their government and its institutions. Others contributed to that, too, notably Richard Nixon, but in 2016, it took a new grotesque form, providing another stark reminder of the link between presidential leadership and character. Kearns-Goodwin, D. (1976). Lyndon Johnson and the American Dream. New York: New American Library. 343. This entry was posted in United States of America and tagged president, USA on July 5, 2017 by Philipp Köker.